home horticulturist and the horticultural farmer can be pleased. reorganizes into the company in 1961. There is a Japanese original gardening culture when thinking about the gardening of Japan. The Japanese garden as the culture of Japan is it, the gardening culture develops more than the climate and the climate in Japan as "Seen garden", and it extends to the present. is included the shade of meaning said that it will make in a multi amount. The style of the house changes into the garden in Japan along with the change of life to Europe and America and the garden is being changed from the seen garden into the garden where it plays there greatly. The first lawn scissors of the fluorine processing were expanded for prune scissors, ..trim.. Hasami, and Nocogiri in Japan in 35 years ago after it had put it on the market, and trust was obtained widely from everybody. first gardening of the good design prize in Japan. extension of the skirts of a mountain of gardening. maintenance is might be pleased. 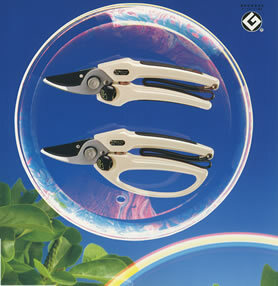 When it is scissors that cut well by "Maintenance free", the product of the cactus mark gets the evaluation also in Britain, France, Germany, Italy, and Switzerland that is the advanced region of gardening. Our company homogenizes the product by going forward on the product making based on the new kind of thinking though the history of the Miki cutlery of a long tradition is succeeded to, and producing it consistently with the machine and the robot that develops originally, and is aiming at rationalizing. the customer requests further in the future and come.